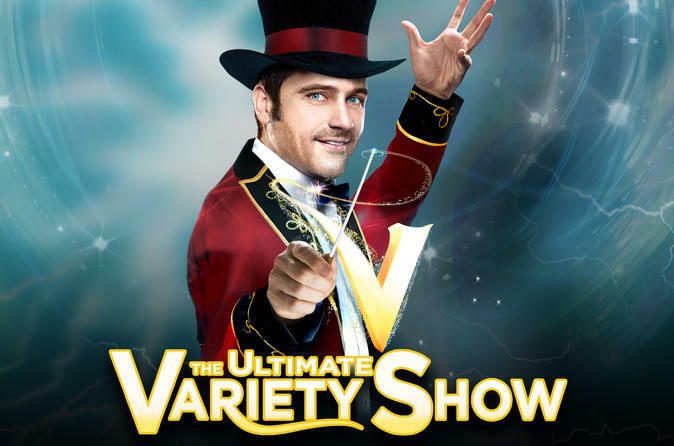 V - The Ultimate Variety Show is like seven shows rolled into one featuring fun, fast-paced specialty acts mixed with daredevil stunts to keep you on the edge of your seat. E! Entertainment calls it the “perfect show for the entire family.” Runs 7pm & 8:30pm nightly at V Theater inside Miracle Mile Shops at Planet Hollywood Resort & Casino. All ages. With an all-star cast of the best variety acts in the world, this show is fun for families, world travelers and anyone in the mood for an outrageously good time! There is no other show on the Las Vegas Strip like it. With so many acts in one package, "V" is for Variety, rolling the cream of the crop into one great show and guaranteeing two thumbs up from the audience. With a changing roster of fresh acts, your show may include magic, special effects, death-defying stunts, wild comedy, visual artists, physical insanity and much more! You'll never see the same show twice at the Ultimate Variety Show, with something for everyone! You have a choice of show times, and seating options in general reserved or VIP (Row AA - E). You also have the option to include dinner before or after the show at a selected Las Vegas' restaurants. Click 'View Additional Info' below for theater seating map. Dinner Packages are available at one of the following two restaurants before or after the show. Roasted herb chicken served with mashed potatoes and fresh vegetables. Carved top sirloin with pan gravy served with mashed potatoes and fresh vegetables. Grilled salmon with malagueta sauce served with mashed potatoes and fresh vegetables. Special Offer - Book and save 53% compared to the local supplier's prices! - Book Now!